for both wellness and beauty! Whether you're looking for a simple light facial or a complete laser resurfacing treatment, our experienced medical professionals can help. More than a Medi-Spa, the Gateway Aesthetic Institute & Laser Center offers comprehensive treatments using state-of-the-art lasers. Our dedicated staff of qualified professionals take client comfort, privacy and pampering to an entirely new level. With over 40 years of combined experience, you can rest assured that your treatment will be safe and effective, and your visit will be comfortable, discreet and relaxing. With hundreds of customized treatment options, you'll soon be on your way to creating a new, improved you! Click here to sign up for our amazing monthly specials! 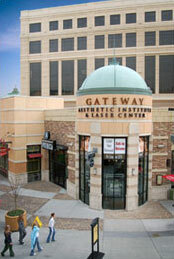 Gateway Emerging Technologies Clinic features the latest wellness treatments!